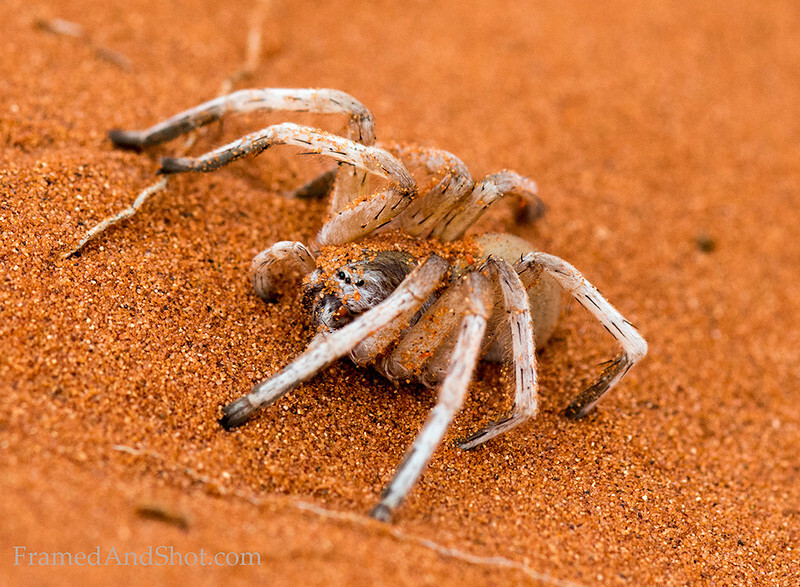 White Lady Spider (Leucorchestris arenicola) is a huntsman spider found in the deserts of Namibia. It relies on seismic vibrations for communication, tapping its foremost legs on the sand to send messages to other white lady spiders. Male white lady spiders will travel more than a mile in one night searching for a mate, and If they do find a mate, they must be extremely careful, for drumming the wrong message can be deadly - If the female is pleased with what she hears, she may mate - but if not, the males will instead be eaten.